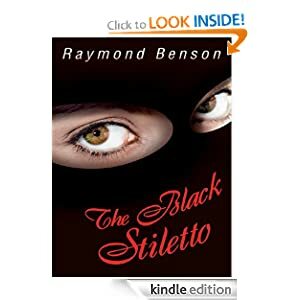 Amazon offers The Black Stiletto by Raymond Benson just for $0.99 for all glutton for books. Could Martin Talbot’s elderly, Alzheimer-stricken mother, Judy, really have been the Black Stiletto? When Martin discovers several volumes of her diaries hidden by his mother, he is stunned beyond all imagination. His mother, the underground heroine of yesteryear? The famed ,still unidentified woman who battled Communist spies, took on the Mafia, and preyed on common crooks? The woman who exacted punishment on evildoers without mercy?But it is all described, in great detail, in the diaries. What caused her to begin her quest for justice. Her decision to act outside the law. Her feats as the famed and feared vigilante. How her reputation exploded. In short, how it all played out. Could it be true? Talbot is filled with doubt and disbelief. But the reappearance of one of the Stiletto’s old enemies with a thirst for merciless revenge makes the story more than real and could imperil the life of not only the Stiletto, but her son and granddaughter as well. 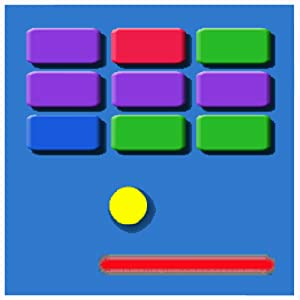 If you like to spend some piece of time playing a game Amazon gives your opportunity to download Brick Buster Pro for free today only. Do you like old-school games from the 70s and 80s? Then you will love Brick Buster. Brick Buster hearkens back to the birth of game consoles that featured classics such as Pong and Tank. Brick Buster revives the classic Breakout game. The premise is simple. You hit a ball with your paddle toward a set of bricks. You must avoid missing the ball as it comes back down from breaking up the bricks. Brick Buster features realistic physics and multiple levels that become increasingly difficult. Compete with players from around the world with a global leaderboard. Do you have what it takes to make a break for freedom?